How did our analysts fare over the weekend? 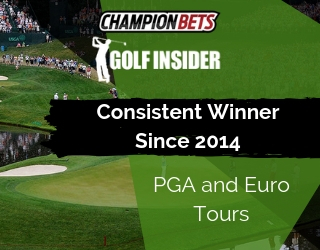 It was certainly one of Champion Bets’ quieter weekends for some time, with our AFL tips, NRL tips and racing tips memberships returning a mixed bag of results. The rain caused havoc across both footy codes all weekend, making for some tough viewing and even tougher results for our analysts. 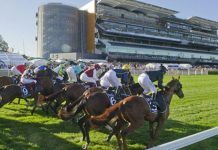 At the races, some tough seconds and thirds really hurt while a scratching at the barrier on Sunday capped off the weekend – but more on that later. It certainly wasn’t all bad, however, with some analysts managing to escape the weekend in the black as well! Can Anyone Slay The Dragons? Let’s start with Thursday night footy in the NRL, where after a dour start to the match (the opening try wasn’t scored until the 33rd minute!) Souths took the game by the scruff of the neck to run out comfortable 26-14 victors. Our man Steve Green was all over it, taking Souths at the line of +8.5 as well as a small outlay on the Bunnies head-to-head at nice $3.40 odds. Friday night was a mixed bag for Steve, with the Storm trouncing Newcastle 40-14 in Melbourne before the Dragons did something similar to the Sharks, running out 40-20 victors at home. A one-unit play on the Knights +10.5 fell a long way short after an early Storm blitz made it very difficult for the visitors, but a two-unit play on the undefeated Dragons -5.5 was a comfortable winner by the final whistle. Of course, the Dragons moved along to 6-0 and Gareth Widdop added another 16 points to his season tally to inch closer to some futures collects. St George Illawarra is now into $5.50 favouritism for the flag, $2.50 to lead after round 12, $1.65 to make the top four and Widdop is at almost even money to top the point-scoring list by season’s end. Steve’s futures bets on those markets saw members snap up prices of $21, $21, $4.50 and $12 respectively prior to round one! The weekend didn’t start as well in the AFL, with Collingwood surprisingly putting Adelaide to the sword to the tune of 48 points – and at Adelaide Oval as well! Brett and his team went 0/2 to start their weekend, with Bryce Gibbs (over 27.5 disposals) finishing the game with 27 touches much to the despair of AFL Specials members. Adam Treloar (under 28.5) finished with 36 touches in a brilliant display, unfortunately putting our bet to bed by three-quarter time. Saturday was a much better day for both AFL Specials and NRL Tips, while Daniel and Stephen also made their first play for the weekend. Richmond enjoyed a thumping victory early in the day, with the reigning premiers beating up on a hapless Brisbane side that didn’t kick their first goal of the contest until late in the third term. The Giants proved too strong for the Dockers in Canberra as well, despite being made to fight for it early in the final term. Brett’s AFL Specials started the day off well as a big play on Callan Ward (over 25.5) comfortably saluted by three-quarter time, while a two-unit play on the second half being the highest scoring of the match between Richmond and Brisbane also getting up thanks to the Lions deciding to kick their only two goals of the match after halftime. Bets on Trent Cotchin (under 25.5) and Fremantle at a +16.5 second half line both missed, with Cotchin finishing with 26 touches and the Dockers fading badly late after looking good at the final change. The Dogs pushed Sydney all the way in the twilight match but faltered at the final hurdle as the visitors prevailed in a thriller. 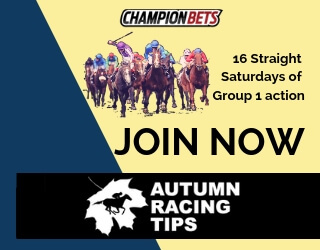 Lachie Hunter (under 27.5) had a shocker to make our members very happy as another big play saluted, with Brett’s staking approach ensuring a profit on every game of the day to that point despite going 1/2 in each. Carlton travelled to Hobart to play North Melbourne in horrendous conditions, and the night was one to forget for the Blues as they were trounced by 85 points. Shaun Higgins (over 24.5) had a night out to keep punters smiling, while the game’s scoring slowed after halftime to ensure Brett’s big play on the first half to be the highest scoring of the match saluted as well. The Gold Coast stayed in Perth during the week as they prepared for their second game at Optus Stadium in a week, this time against the Eagles, but it certainly didn’t seem to help them as they went down by 80 points. Brett’s team split the points with Jarryd Lyons (under 26.5) saluting… just, but Luke Shuey (over 27.5) falling well short of his target with just 22 touches for the match. It wasn’t such a good night for Daniel and Stephen, who took the Suns at a healthy +32.5 line and a small play on them head-to-head. After trailing by just nine points at quarter-time things were in the balance, but the Eagles ran rampant thereafter to pile on the misery. In the NRL, Steve enjoyed more success with the Bulldogs upsetting the Cowboys up north and the Raiders thumping the Eels 18-2 in the nation’s capital. NRL Tips members were tipped into the Bulldogs +10.5, which was never in doubt, and the Raiders -3.5 against the abysmal Eels. In even better news, the Broncos upset the Warriors in New Zealand in the first match of the afternoon, ending their unbeaten start to 2018. This gives the Dragons some breathing space atop the NRL ladder as the only undefeated club through six rounds. A crucial date with the Warriors across the ditch awaits the Dragons next week, with a win almost worth double as they look to hold top spot at the midway point of the season for our members. Onto Sunday we went, looking to finish off the weekend in strong fashion. 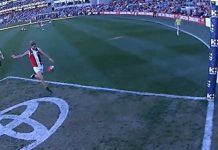 Essendon took on Port Adelaide in the first of three AFL fixtures, with the Dons bouncing back from a poor loss the week before in style. The result was surprising to many as the Power suffered their first defeat of the season, unable to cover the -3.5 half-time line in the process. Ollie Wines (under 28.5) scraped home as he finished with 27 disposals to make it a winning game for Brett. Melbourne started like a house on fire against the Hawks but completely stopped after quarter-time, kicking a single goal as Hawthorn piled on 15 over the final three quarters. Despite their dominance, the Hawks didn’t cover the +1.5 quarter-time spread for Brett, but Clayton Oliver (under 29.5) finished with 28 touches to win that back. After a good start, the Dees were never close to covering the -6.5 line for Daniel and Stephen. The final game of the round was a poor one for our analysts, with the Cats thumping St Kilda to the tune of 47 points. Daniel and Stephen saw something in the Saints pre-match, taking them with a +26.5 line that never really looked likely once the ball was bounced, with a small bet on the underdogs also going down convincingly. Brett didn’t fare much better as Joel Selwood (over 27.5) finished the match with 27 touches and Mitch Duncan (over 27.5) having just the 22 for the match. Even Steve struggled on Sunday as the Tigers ran rampant over Manly for a 38-12 win at Brookvale. The Eagles were at nice odds pre-match but were blown away by a Benji Marshall-led Tigers outfit that seems to be a legitimate finals contender in 2018. In the early game, the Panthers ran out comfortable 35-12 victors over the Gold Coast Titans. 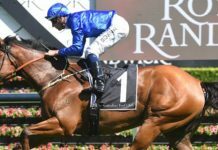 The Championships concluded as Winx headlined another big weekend of thoroughbred racing, but we’ll start on Friday first. 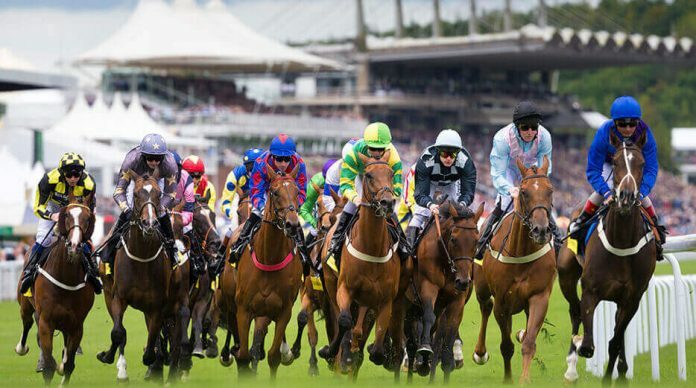 Cam O’Brien’s Key Bets got off to a good start, finding a winner and nearly bagging another from his two bets on Friday. Deitch ($5) did plenty of work in the run but ran out of room in the straight to finish 2nd at Beaudesert, before Magnesprit ($4.80) hit the line first in the penultimate race at Cranbourne for a $400 winning day. Chris started the weekend off in a winning way as well, with Zappeur ($5.50) saluting at Rotorua in New Zealand at a very nice price. The winners kept coming on Saturday across the ditch, with Madison County ($4.40) making it one race, one win for the day and a very handy $450 profit across the two days. Aaron Barby followed suit on Saturday as well, finding an early winner with Jamie Kah riding home Over Exposure ($2.70) in the second race at Morphettville. Aaron was right on target with a smaller stake on Danger Deal ($14) at odds, which ran second. A rain-affected meeting at Caulfield saw Trevor Lawson make a handful of small-stake bets in the later races, finding some runners who enjoy the heavy track at nice odds. Typhoon Jolie ($4.40) shortened dramatically throughout the day before running second, leaving Trev with a small $270 loss for the day from bets across three races. As it turns out, the answer was as simple as backing Daniel Moor in each of the final four races as the jockey rode home all four winners in the Quaddie! MOOR, MOOR, MOOR and MOOR. Take a bow, @daniel_moor! He's ridden the CAULFIELD QUADDIE! The luck didn’t change across the Nullarbor either, with Mark Van Triet also having a small losing day from two races. Rare Coin ($19) nearly made it a big day for members, unable to find a length in the straight to finish second behind Elegant Blast in the 8th event of the day. Cameron couldn’t find a winner in Western Australia either, with Missile Launch ($2.70) going down by a neck at Ascot and Mervyn ($2.05) also running second in the last at Kalgoorlie. Dean the Trial Spy had some better luck at Ascot, tipping members into Valour Road ($4.60) and Lady Cosmology ($4.60) in Race 7, with the pair running the Quinella in that order for a winning day. Of course, there’s no secret that The Championships at Royal Randwick was the headline act on the day as Winx aimed up at Black Caviar’s winning streak record. 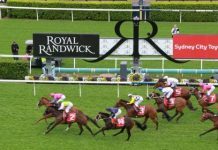 The champion mare did it easily in the Queen Elizabeth Stakes to send racing fans everywhere into yet another frenzy (Bruce McAvaney was certainly no exception), and will now look to take control of the record outright when she next steps out. Bryan understandably avoided the race, betting into four others at Randwick and one at Newcastle. It took until the second last on the card at Randwick to find a winner but it was well worth the wait as Alizee ($9.20) flashing past Prompt Response to claim victory. It could have very quickly turned into a massive day for Bryan and his members had Conquest not died on its run in the straight at Newcastle, with a massive collect on the cards had it stayed the course. Sunday was a much quieter day with only Chris, Aaron and Cameron having a bet. Chris started off with two losing races at Ascot Park but finished the day with Orepuki Lad ($3.20) saluting for a small losing day of around $200. Aaron didn’t have much luck at Naracoorte on a small outlay as Party Set ($15) and Princess Leah ($4.20) both failed to finish in the placings on the day. 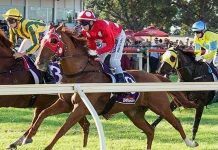 Cameron’s day was looking great after his selection at Geraldton – River Dance ($4.30) – came into $2.70 by race start time. In keeping with the weekend’s form to that point, however, Cam’s runner refused to go into the gates and was scratched at the final hour. With that, what was a relatively disappointing weekend of sport and racing across the board was put to bed on Sunday night. Nobody blew up their bank but there wasn’t a lot of joy either. It simply wasn’t to be. Onwards and upwards as they say, and our analysts will certainly be looking forward to get back to their winning ways.